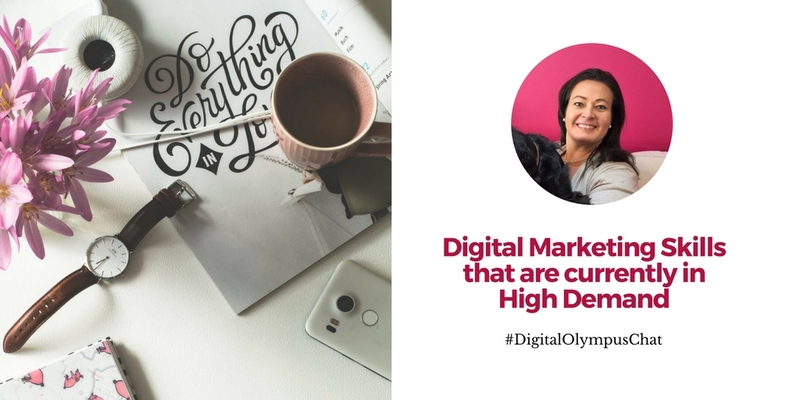 We’re discussing Digital Marketing Skills that are currently in High Demand with Natasha Woodford from clockworkTalent while #DigitalOlympusChat. Natasha has an exemplary nearly 20-year track record of recruitment ad building long lasting relationships with both employers and job seekers. Now she is managing a recruitment service clockworkTalent which brings stars to the digital marketing arena. Now, let’s move onto the questions! Q1. What are the top five digital marketing skills employers want to see in candidates? Natasha determined that technical SEO jobs are currently in high demand. But finding the right candidate can be difficult, too. Natasha referred to this niche as the most cut-throat. PPC managers are also the most needed specialists on the market. As Natasha tweeted it, «If only I’d started a genetic cloning facility «. Leading by example is always a good start, show them how good it can be! Q2. How can we keep up with digital marketing’s shifting environment? To begin with, Natasha acknowledged that you should be very proactive. Reading blogs, asking questions, making the most out of webinars like the ones hosted by Hootsuite’s & SEMrush’s, all of these activities will help you keep tabs on what’s going on in the industry. Of course, another great thing to keep in mind is our next Digital Olympus which is going to take place on June 20th. Also, you check out our previous editions here. There are a lot opportunities on social media like connecting with people on Twitter Chats like ours, discussing hot topics on Reddit or Quora. Your peers ooze passion and the experts are always willing to share knowledge so don’t be afraid to join conversations like the one we’re having now! 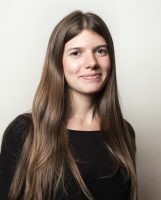 Alex Tachalova recommended subscribing to news in your niche. For example, if we’re talking about social media marketing, then it’s Social Media Week Social Media Examiner. If it’s SEO, then subscribe to Search Engine Journal, Search Engine Land, Search Engine Watch, etc. Q3.What courses and training certificates are especially valued by employers? Depending on the type of industry you’re in, there are different kinds of certificates. Good examples can include Google AdWords Certification, CIM, Google Squared Online & Hootsuite Certifications, SEMrush Academy, and a lot more! Natasha also thinks that focusing on your strengths is crucial, but you also need to think and acknowledge about your weaknesses: if you know that analytics is your kryptonite, then take on a course. Q4. What should digital marketers keep in mind when it’s time to find a better job? For more details, you can check out an interesting post published on clockworkTalent blog called «How To Write A Great CV». Natasha suggested to stay alert about the direction where the industry is headed in general. Staying ahead of the game, adopting new techniques and adapting to changes is essential and it’s the culmination of both the past (your experience) and the future (your ambitions) which will steer your career choices. Alex encouraged everyone to subscribe to the experts' updates in your niche. She remembered numerous cases where she has heard about industry’s major changes from Danny Goodwin, Barry Schwartz, Julia McCoy, Aleyda Solis, and so on. Q5.Will the number of digital marketing events you have attended positively affect your CV? Besides, events are amazing places to not only learn but network with your peers in the industry, catch up with old friends and learn sometimes extraordinary things you can take back and impress your boss with. Digital marketing industry is very tight-knit and sometimes it can seem like everyone really does know everyone! If you network right, you’ll find the job. Q6. Does it make a difference to an employer whether or not you’re actively engaged with other marketers on SMM channels? Natasha is surprised to hear that so many digital marketers still don’t have Twitter accounts! Being active on Social Media can help an employer understand you better as a person, they can see if you’re engaged with or passionate about the industry outside of work. The apparent evidence of your passion channeled through social media can set you apart! It may impress an employer if they learn that you do something interesting in your spare time. An inspiring Instagram account, or Facebook page for local biz etc — show it on your CV! Natasha wonders if people realize the importance of showing employers your passion. When we share this with jobseekers they’re usually surprised… But why is it so surprising? We want to see evidence of you loving what you do — maybe with a «side hustle». Q7. Could you please share five favourite hacks that help you stay motivated at work? To wrap up our chat, we asked our participants to share five favourite hacks that help them stay motivated at work. Natasha’s list was very interesting, so make sure you either pin the advice on your timeline, or screen-save this part. Try to use these tips from our experts and give us your feedback. Also, feel free to connect with Natasha on Twitter to ask her your questions.